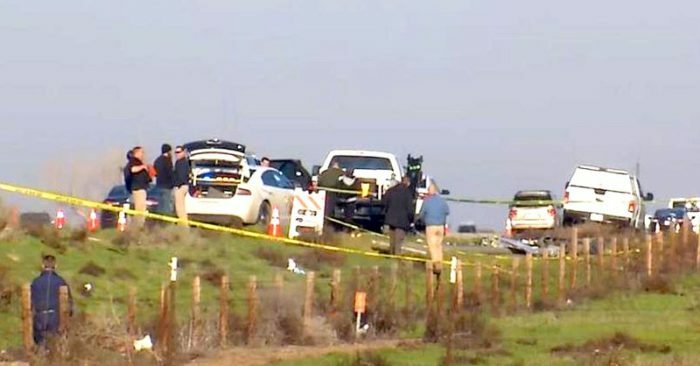 A man was fatally shot in a pre-dawn confrontation with California Highway Patrol officers on a rural stretch of Interstate 5 in the San Joaquin Valley. Kern County sheriff’s spokeswoman Angela Monroe tells reporters two CHP officers responded to a report of a crash shortly before 5 a.m. Friday and found a vehicle that had knocked over a light pole west of Bakersfield. Monroe says the officer-involved shooting occurred when a man claiming to have a gun approached the officers, did not comply with orders and had one hand concealed. Medical aid was rendered but the man died. Monroe says he has not been identified yet. It’s not clear whether both officers fired and whether the man actually had a weapon. Monroe says it’s early in the investigation.